Official, licensed Flash Gordon costume. 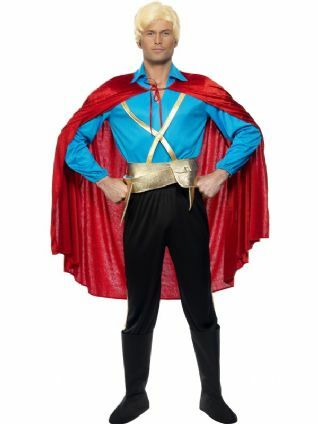 The outfit includes blue shirt with gold trim, red cloak, black trousers, boot covers and a gold cummerbund. The blond wig is sold separately. Please contact us if you are unsure about which size to order; we can advise you over the phone or by email. 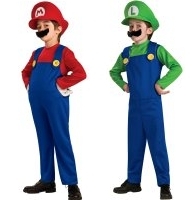 We are able to measure costumes and let you know sleeve widths, leg lengths, etc., so you'll get a better idea if an outfit is right for you.